I’ve been a little engrossed over the last few days… experimenting with something I know I MUST get my head around… and that’s using video to enhance my online marketing! It’s the way the Internet is going, and if you aren’t keeping up with it… well you’re not even going to be in the game! So… armed with my (free) version of Camtasia (the older version 3) I attempted to create the first of many video tutorials I have planned. After about ten takes, and working out which fingers were needed to drive the start, stop and pause buttons on one hand, the mouse with the other, and then editing out lots of “oopsies”… I finally got my very first screen capture finished! And now… try to convert it to a format you guys can use on the web! Well… if I was having fun before, I certainly wasn’t now! The trouble is… well… the finished file size for a seven minute movie – terribly BIG, which means slow to load for most people, extra bandwidth for my server, and just not what I really wanted! Also not wanted was the very “boring” player controls that come with that version of Camtasia. My recommendation? Forget all of the above immediately! Big file sizes and crappy video quality! Not what you want at all! Instead – go download the free 30 day trial of Camtasia 5 and try it out! Once you see what this little sucker can do… you WILL pay the fee! And if you downloaded the free version of Camtasia 3 late in 2007, count your blessings, because the upgrade fee saves you a mint! If there’s one full priced product you will buy… it’s gonna be THIS ONE! Don’t believe me? Check out the next post – the first in my new series – this one a Video Tutorial For Installing WordPress. I am totally blown away by the end result – video and sound quality wise – as well as by my oscar winning performance of course! Surprisingly… it’s NOT that hard to do! I completely agree with you and with the new Camtasia 5.1 – with all the new options, it’s really starting to get interesting. I especially like the autozoom function that does closeups on anything that you are working on while capturing. Good luck with your online videos! Peter…. where were you two days ago? That auto-zoom is what i needed back then! OK – expect to see some super zooming in video three on… blowed if I’m redoing the other two! Hey, and thanks for dropping by and commenting! 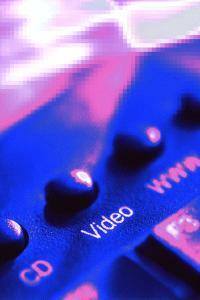 Your videos are clear, concise and very easy to follow. Having the summary of what we are learning underneath the video is an excellent idea. I wish more tutorial video makers did this. This feature alone saves a great deal of time as you are able to choose only those videos you need for your learning. Thank you again. I’m looking forward to more in the series.